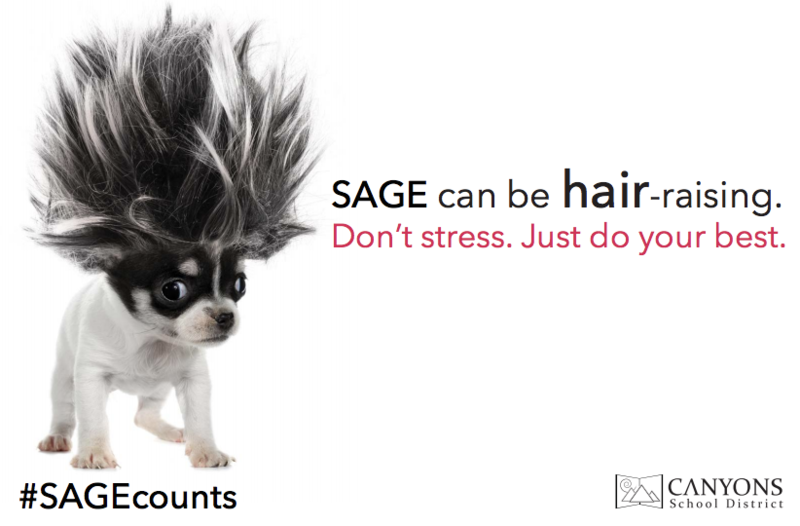 ​SAGE testing continues this week with Science. The week of May 15 will be SAGE "Reading," and the week of May 21 will be the SAGE "Math" assessment. Testing has always been integral to education. Assessments inform instruction by helping teachers know if educational goals are being met. They’re an indicator of what’s working in the classroom and what can be done differently. Testing also gives parents an independent measure of their child’s learning, answering the question: Is my child on target and doing well compared to his or her peers? What about kids who have a history of test-anxiety? It’s important to strike a balance with children. You don’t want them to brush off the test. On the other hand, you don’t want to stress them out. How you approach the conversation will differ from child to child. But we like to describe testing skills as life skills. In our professional lives, there is pressure to perform and meet deadlines, and testing is no different. It’s really about demonstrating competency. They’ve worked hard all year in class. Now is there chance to show how much they’ve learned.